JOBS.PL is a group of well-known industry portals. Our services include recruitment services, consultancy and image services, information and industry services and other online services. These include: Jobs.pl portal, headed to management staff portal Karieramanagera.pl, services in the field of recruitment and image HR.pl and CV.pl and popular training service Szkolenia.com. We have been in the market since 1998 and have a pioneer status among recruitment portals. 16 years of experience is reflected in the best customer service and high efficiency of our activities. Professionalism, flexibility and speed of operation can be confirmed by over 11,000 employers who have found us the perfect candidates for work. We distinguish individual approach to each client, taking care of details and qualified staff, which guarantees very high level of services offered by Grupa Jobs.pl. Summary: Like most Polish job boards, Jobs.pl keeps it simple: you need a job, they are Jobs.pl. They know the industry; they have been around for 20 years! They expanded to include CV.pl, HR.pl and Szkolenia.com (a course and internship website) to cater to their clients’ needs. Moreover, in 2008, Media Manager and Jobs.pl teamed up together in 2008 to create Karieramanagera.pl (for top positions, but it isn’t as successful as hoped, same for praktyki.pl). Unfortunately, only the homepage is available in English, German and Polish but the featured companies really are hiring and they keep their twitter and blog updated. This job board has an international focus with most of its job offers for overseas positions. 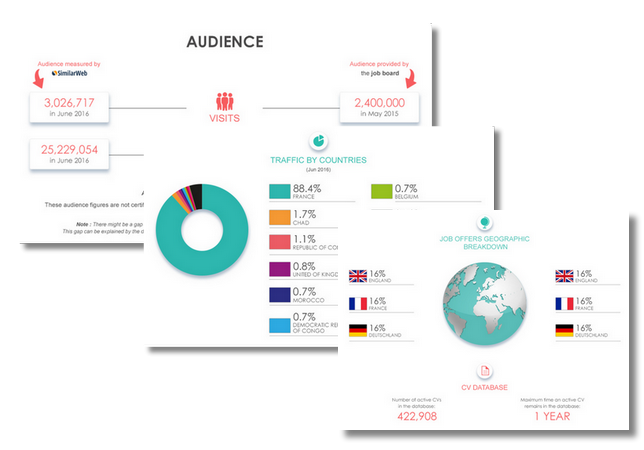 Only 15% of their web activity is from outside of Poland and they have about 300 000 visits per month. Design: The website layout clearly conveys the idea that they are not solely focused on connecting recruiters and jobseeker: half the screen is taken up with “job offers of the day”, and the other half features the most recent articles from their blog. The adverts around the screen are actually for companies hiring with them, which is nice. The bottom of the page offers four different categories for your searches: by city (which sometimes appears as a map of Poland), by industry, by job title (with an extensive list of job titles) and by country for jobs abroad. They appear professional. The jobs appear in order of their pertinence or their date and each one shows the job title (feature), logo, company, location, publication date and some are featured (super offer). The job offers are customised, but each company has their own standard layout. Similar job offers appear on the left-hand side. The job board objective: More than just a job board, Jobs.pl aims to accompany its clients (be they recruiters or jobseekers) throughout the entire recruiting/job searching process. Recruiter observations: If you click of “for employers” at the top of the page on the right-hand side, you get a list of packages and their prices, so you can order your adverts directly. However, once you have filled out the form, you need to wait for a consultant to call you back. They offer different services depending on your needs: develop your company, find an employee and/or strengthen your brand. Depending on whether you work alone or you represent a company, the procedure is different. For recruiters and jobseekers alike, it is refreshing to see short company descriptions. Jobseeker observations: Creating an account is easy (you can even use Linkedin or Facebook). CV examples and assistance is handy. Only a CV is required to apply to job offers. The job offers: There are currently 91 154 jobs: 35 382 in Germany, 645 in Switzerland, 332 in Belgium, 45 354 in the UK, 443 in Holland, 5 015 in Poland. A lot of manual jobs or trades, but top positions are also advertised. Most companies advertise for various positions in their company. Special features: the blog (up-to-date with categories for the articles); icons (key, letter); CV information (with examples, so you know what Polish recruiters expect); similar jobs; the salary calculator (for each month); job alerts. Verdict: If you are looking for international jobs (or looking to hire Polish people overseas), Jobs.pl is clearly a popular choice. However, a job board with more international jobs than local ones really should have an English (or German) version of its webpage. It’s a bit unfortunate to publish the exact same articles on their partner websites. Also, clearer headings and fewer links to the blog would make the site easier to use. Login here for FREE to unlock access to the traffic audience, content and pricing section for more information on Jobs.pl. Six reasons to start working with us. We reach more than 4,6 million users monthly. Our job ads are posted on our partners’ websites. They also reach smaller local and sector-specific websites. More than 73% of our clients declare they hired a candidate after posting a job offer on our website. We are willing to share our experience and knowledge. We can advise our clients how to draft an effective job ad. We want your offer to present you as a good employer. At every stage of our cooperation, our consultants are more than happy to you. Our experienced team will help and advise you which tools to use to find the best candidates. Our Jobs Abroad section is unparalleled. Thanks to the universal domain of JOBS.pl, our offers reach candidates all over the world everyday. JOBS.pl also has one of the largest job ad databases in the European Union. Jobs.pl is Poland’s and EU’s first Online Job Service. It was developed as an innovative solution dedicated to those seeking employment and employers. We have been a market leader since 1998. Our priorityis for the largest possible number of job seekers to find your job offer. We have a large number of media partners, and we publish your advertisements for free on our partner websites. 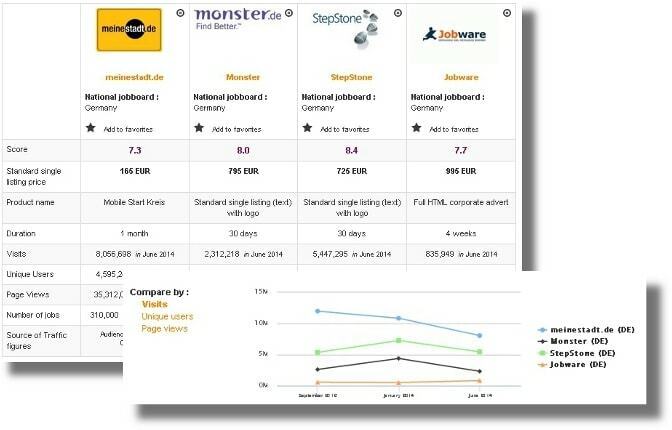 Some of our many partners include Indeed, CareerJet, Adzuna and Jooble.